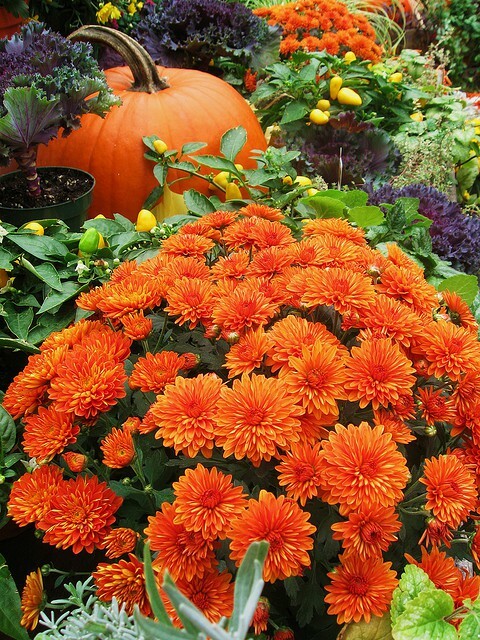 I do love mums in the fall... and mixed with pumpkins, even better! 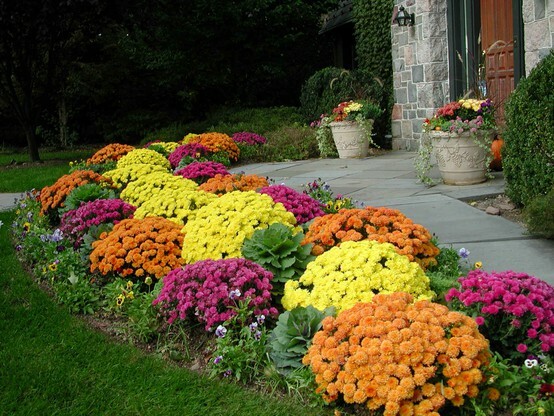 Stopped by my sister-in-law's house the other day... more beautiful mums! 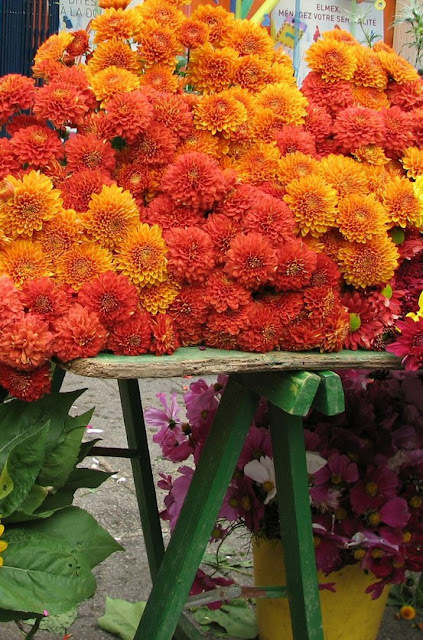 Jan these images are so beautiful and it just stopped raining and you've inspired me to go buy some Mums. 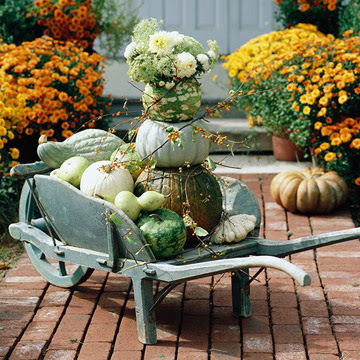 We've been harvesting pumpkins and what a great mix! 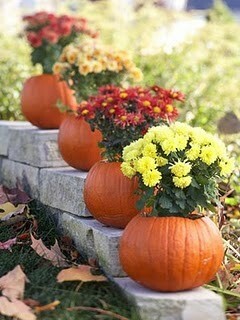 Happy October to you too! What a stunning post..those last two pics look exactly like the front door of my old house!! 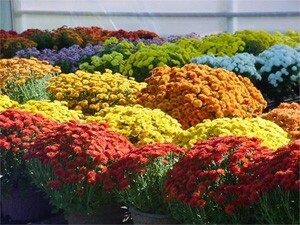 So beautiful, each and every one, and I agree this time of year mums are just incredible!! 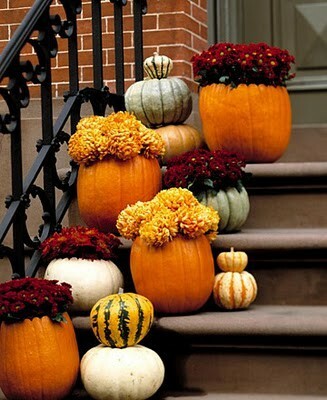 I love mumkins. I might try to make some for Halloween this year! 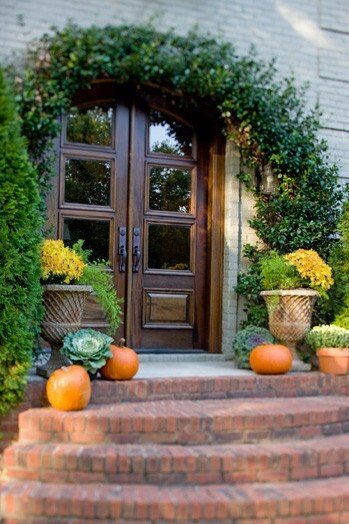 When homeowners decorate this way it is a gift to the entire neighborhood. Just stumbled upon your lovely blog - really enjoying it! Merci. 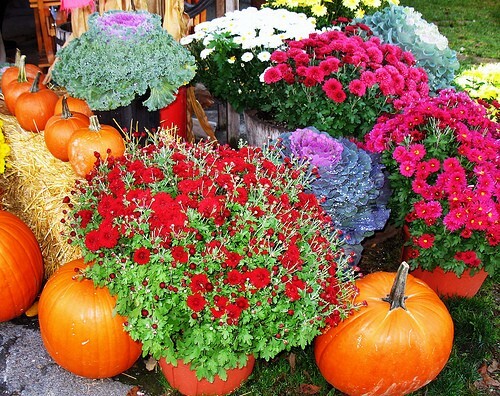 Your photos are beautiful and make me love fall even more. Those Fall pictures are so bright and beautiful. 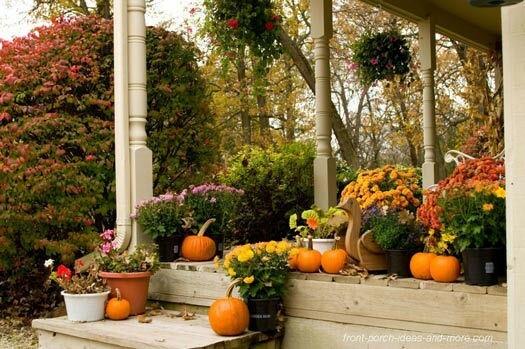 I always like looking at front porches. 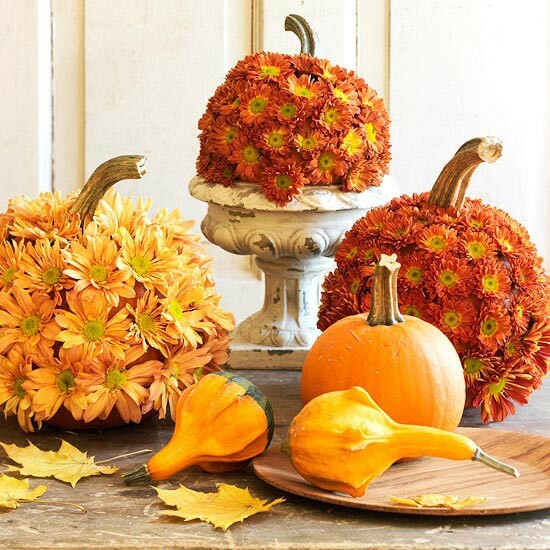 Fall is my favorite season of all, and I just loved your post today. It made me smile big.